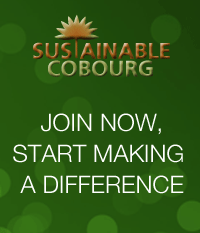 We would like to thank and congratulate the Town of Cobourg and the Bicycle Action Committee of Sustainable Cobourg for the completion of the new bicycle lanes and share the road signage recently marked from Willmott Street to the downtown area. As east-end Cobourg residents who use this route frequently, the addition of the bicycle lanes greatly improves the safety and enjoyment of the bicycle trip into Cobourg. More important, it is a vast improvement for tourists bicycling into Cobourg from the east and certainly adds credibility to the road sign just to the east of Cobourg welcoming bicyle tourists to the town. This entry was posted in Bicycle Culture, News 2011, Sustainable Planning. Bookmark the permalink. I too am very grateful for the work of the Bicycle Action Committee. It feels like I now have a place on the road! Instead of displeasing pedestrians on the sidewalk, or vehicle-drivers on the road, I’m more confident in my safety and sense of belonging – what a happy community needs!